I don’t want to talk to you about food. I am sure you don’t want to read about food. We are in the “what are you doing next?” part of the year, full of confusion, overwhelming job searches, and resume writing. I don’t know what I want next, (just like I didn’t know this time last year), but I am trying to stay in Boston. However, I find my current resume a little dull, and not quite representative of my experiences thus far. So if I could, and someone would let me get away with it, here is the the resume I would provide. From Kansas, and I beg you not to make that Wizard of Oz joke. And no, it is not in the South. But really, it’s in the middle. Do I need to bring you a map? A small school you have never heard of. I did well. BA in English, not teaching, and creative writing. What’s that? Yes, I really do want to make some money. You know, for food. Some, but not as much as you prefer, and probably not doing what you are looking for. But here I am anyway! Can identify origins of important quotes and concepts integral to an American education and all of the words to Phil Collins “In the Air Tonight”. Can count to exactly thirty seconds in my head because of years as a barista pulling espresso shots. Added bonus, I can touch really hot things right out of the oven. Can read for hours without moving or eating, with intense focus, and it has instilled a firm belief in the existence of unicorns. Can pen a note in such a fashion in no time at all. Perfect for sly note writing to your bff sitting across your lab table in science class. Bend Right Pinkie Backwards- gross out moments, boredom curing. Can bend right pinkie to touch the back of my right hand. Such a talent made my sixth grade geography teacher nauseous, and she asked me to leave the classroom. Thanks goodness. She was quite dull. My Dad-He has to like me. At least I hope he does. Ms Manhart-Fifth grade teacher. Told me I had an “old soul”, and I didn’t know what that meant. Lorelai Gilmore-She truly understands my heart. I can neither confirm or deny that she is a fictional character from a cancelled television show. She gets me. 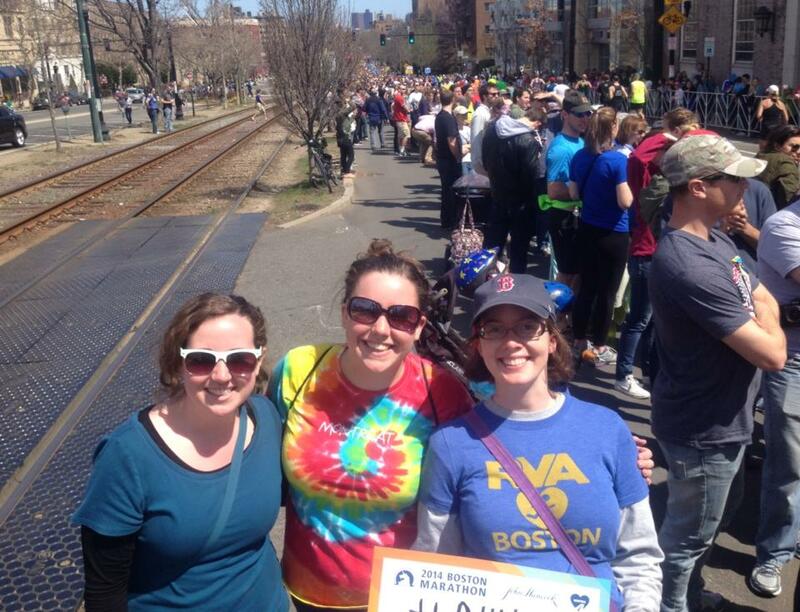 Bonus Picture: me and my super cool roommates (and shades) enjoying the M arathon in Boston. How could you not hire this girl? This entry was tagged boston, is this real life?, resume writing. Bookmark the permalink.